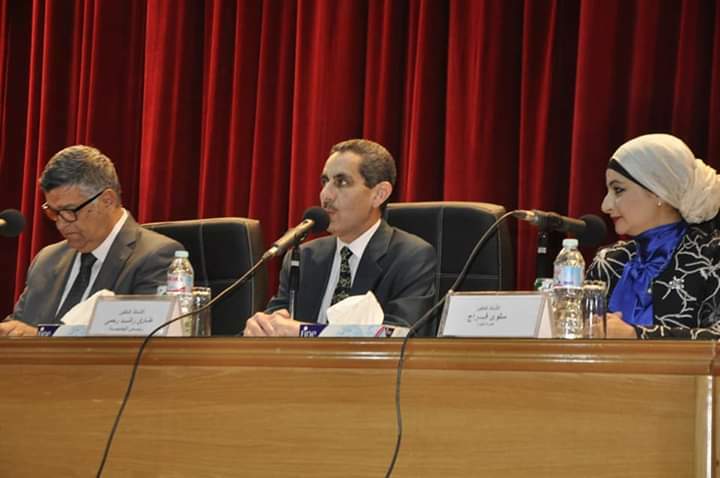 Suez Canal University President, prof. Tarek Rashid Ramey, inaugurated a seminar on political awareness and constitutional amendments in the presence of Prof. Dr. Atef Abou El Nour, Vice President for Community Service and Environmental Development, and Mr. Samir El Naggar, Secretary General of the University. Lectured by the former Dean of the Faculty of Law of Zagazig University and the Legal Counsel of the Supreme Council of Universities and Prof. Dr. Salwa Farraj, head of the Department of Political Science Faculty of Commerce . Prof.Dr. Tarek Rashid Rahmi, Suez Canal University President said that these meetings aim at increasing the political awareness of all groups within the university from deans, faculty members, academic leaders, administrators, employees and students.